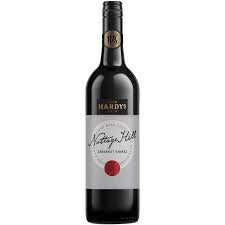 Hardys Nottage Hill Cabernet Shiraz is deep Crimson in colour with purple hues with fruits of the forest and plum fruit aromas over subtle Vanilla tuile and light spice oak. A full bodied red wine full of mulberry, cassis and plum fruit flavours. 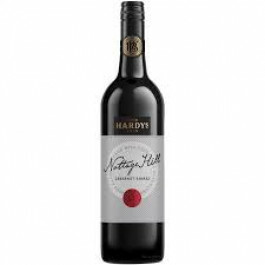 Hardys Nottage Hill Cabernet Shiraz wine has sweet juicy fruit, oak flavours of vanilla biscuit and complex clove spice and a fine tannin structure.